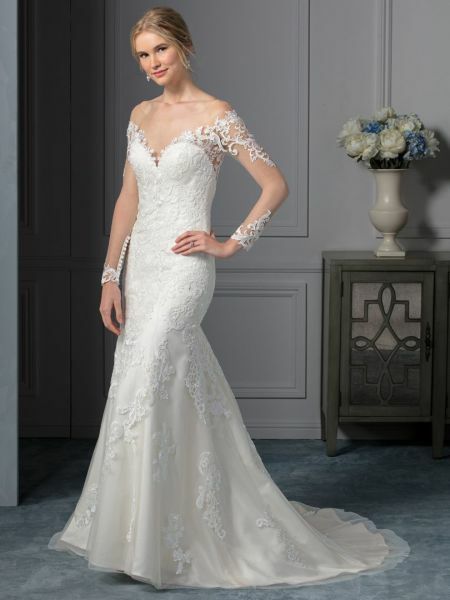 Even the most stubborn of brides who desires a strapless gown would be swayed by the beauty of the long, lace, illusion sleeves on Style BL239 Carolina; they are truly stunning element of this fit and flare gown with an illusion bateau neckline. 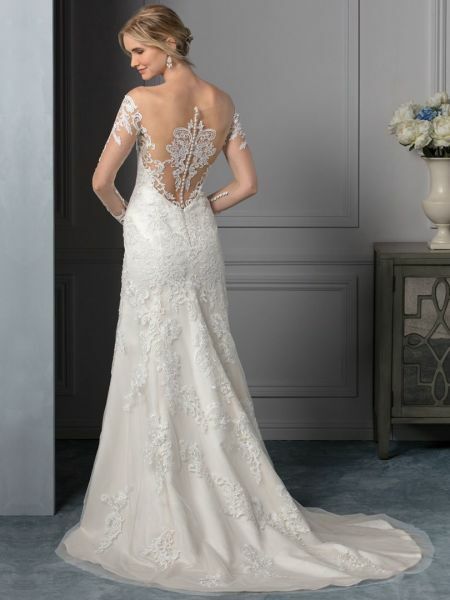 The show stopping nature is also developed by the illusion back with decorative lace appliques. Finishing touches are found in the buttons at the wrist and down the illusion back.